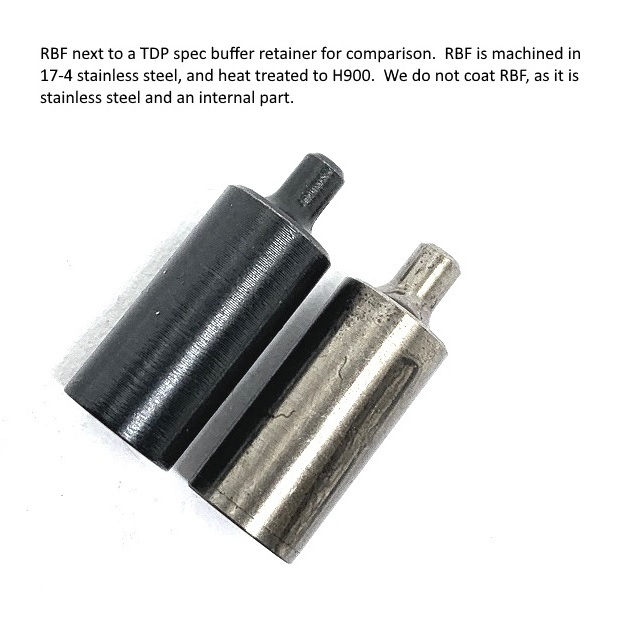 RBF (Reinforced Buffer retainer, Forward Controls) is a strengthened AR buffer retainer machined with Swiss machines from 17-4 stainless steel bar stock, and heat treated to H900 hardness. 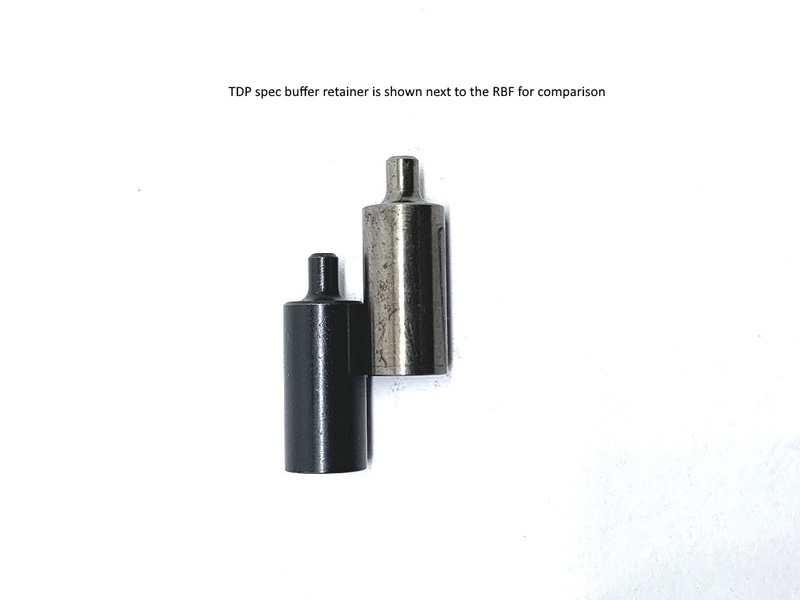 RBF features a reinforced tip that is 10% larger (0.102) than TDP spec (0.093). 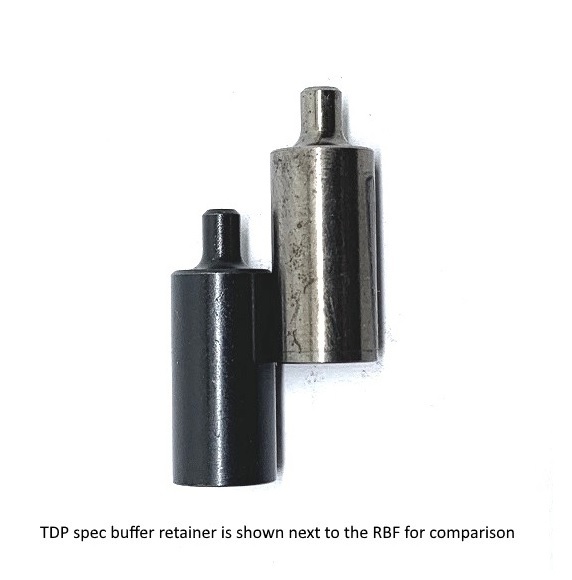 We don't want RBF to be timed (as the case with a rectangular tip), so RBF retains the TDP buffer retainer's versatile round tip, and is installed per TM instructions. 10% is as much as we could increase before encountering receiver extension timing incompatibilities. 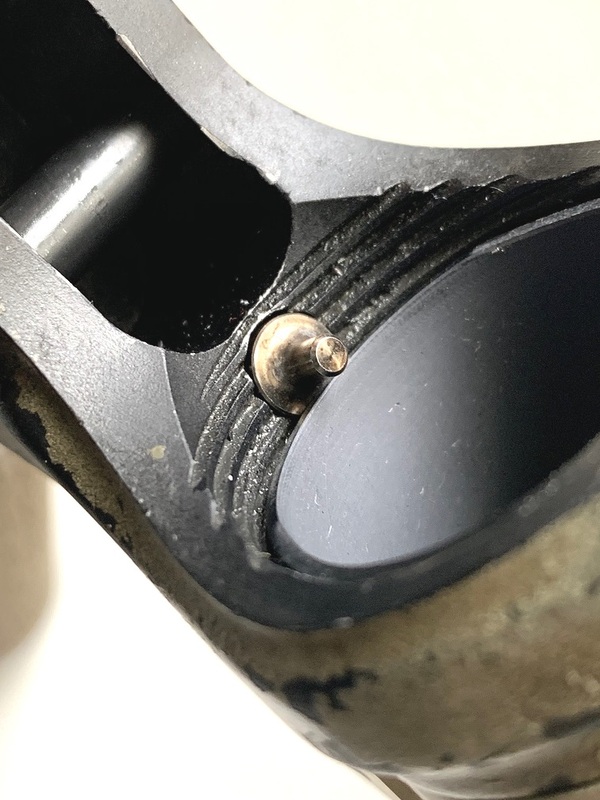 RBF has a light bronze sheen after heat treat. Ever practical, we do not coat or polish it, as it is stainless steel and an internal part. 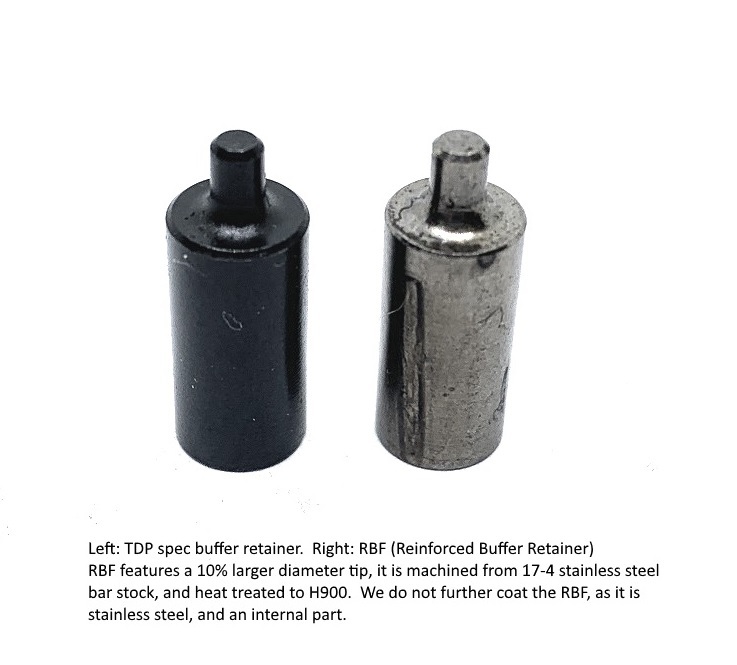 RBF is a stand alone product, it's available with optional buffer retainer springs (x2). 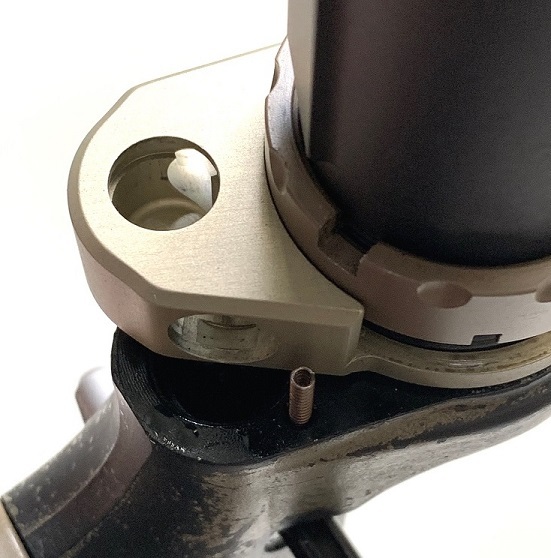 When it comes to springs, it is our practice to include extras when they're under pressure during installation/removal, optional buffer retainer springs inclusion is no different, two springs will be included should you opt for them. 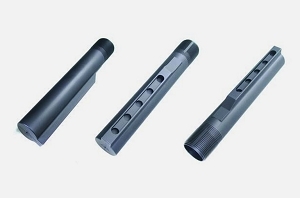 RBF is compatible with AR15/M16 milspect rifle and carbine receiver extensions, as well as Vltor A5 system receiver extensions. 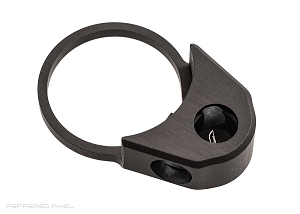 * Always wear eye protection while handling springs under pressure, spring loaded pins and detents. * Receiver extensions (REs) timing on the receiver can vary. 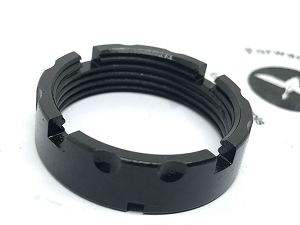 While the an RE can rotate past dead center (with the RE covering and retaining the buffer retainer) by 45 degrees or more on one receiver, it might only be able to do 15 degrees or less on another. Also, different REs have different timing values.